I just have to take a break from my mini blogging hiatus because I am outraged with the leaders of Baguio City. Elected officials should be serving the people and not bowing to the will of greedy corporations specifically SM Baguio. A few years ago, a classmate and I were walking from UP Baguio to Session Road when my classmate pointed out that SM is coming to the city soon. I wasn't too thrilled about it. I love how Baguio was. After all, I enjoy my shopping escapades at Tiongsan or filling up my grocery supplies at Sunshine Supermarket back then. Being in Baguio, you don't need much, I'd be content with the mountain air cool enough to rejuvenate even the most restless of souls. My instincts were right. With a gigantic mall like SM, the balance is broken. Look at what's going on now. SM doesn't care about the trees or the environment of Baguio, clearly all it cares about is making more money and expanding their greed nest. I am outraged at SM Baguio for earth-balling the trees just to expand their already gigantic mall. I don't fully comprehend their imbecilic plan to transplant already rooted trees instead of leaving it alone to thrive and do their purpose. Wouldn't it be more beneficial to leave those trees alone and let them do their job of absorbing the already polluted Baguio air? Think about it. What do you do with a mall if the city that surrounds it is polluted? How much mall do you need to make more money from Baguio people that clearly you don't care about? I think that trees are more important than malls. What is a mall if the land it stands on is barren, eroded and polluted? SAVE THE BAGUIO TREES! SAVE THE 43 FULLY GROWN ALNUS JAPONICA TREES AND THE UPROOTING OF 97 GROWING PINE TREES (PINUS KESIYA) AND 42 SAPLINGS. SM Bagiuo defies court order and continues earth-balling trees. Photo source here. SM BAGUIO, WHAT IS WRONG WITH YOU? old tiongsan and sunshine, those are the places where i do my shopping too, idi. but they were eventually eclipsed by SM, of course. when i go to baguio it doesn't feel like the baguio of our childhood, anymore. they claim that they are merely earth-balling those trees. but earth-balling does not guarantee that the trees would not die, given their age. shouldn't there be a massive outcry to stop this? why not mass banning of sm mall? 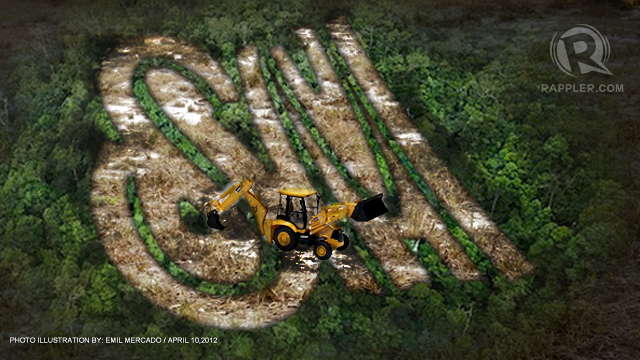 The Philippines is one of 10 Countries with the highest deforestation rates in the world. FAO of UN says all the nations where GDP per capita are below US$4,600 have had deforestation. The Philippines is just one of them. Every year the Philippines is losing its forest by 2%. Only one exceptional country was S.Korea, which has dramatically increased forest cover area and timber stock in the forests from the beginning of industrialization. Last 50 years S.Korea increased timber stock in the whole nation by 22 times and increased forest cover area by 50% because S.Korea planted more than 10 billion trees between 1960 and 1980. S.Korea's timber stock growth is worth about US$8 billion each year, which amounts to 4.5 million truck loads of timber. 19.4% of the Philippines is covered with forest while 63.3% of S.Korea is covered with forest. Many foreigners are so much impressed by lush forests in S. Korea since they imagined S.Korea is just a modern industrial country. 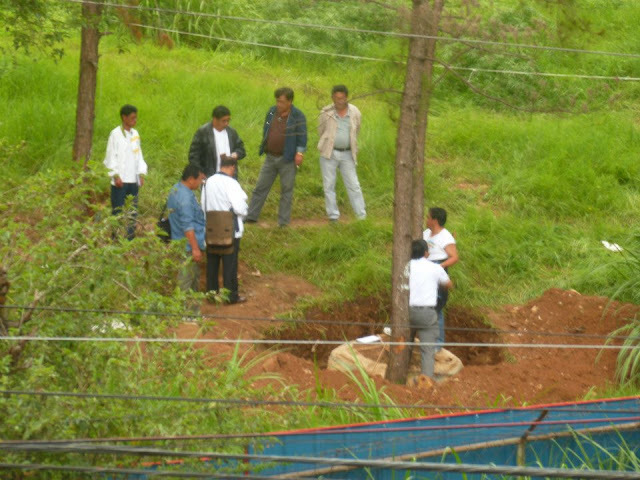 Now the Philippines government tries to learn Korea's experiences for reforest. I have never been to Baguio but I must say, sayang nga yung mga trees diyan sa Baguio.